I’ve been drinking more than my fair share of coffee lately. To tell you the truth, other than an occasional coffeehouse latte on a cool day, I never really cared for it. But for the past month or so, I’ve been craving coffee every morning. It’s become part of my morning ritual. 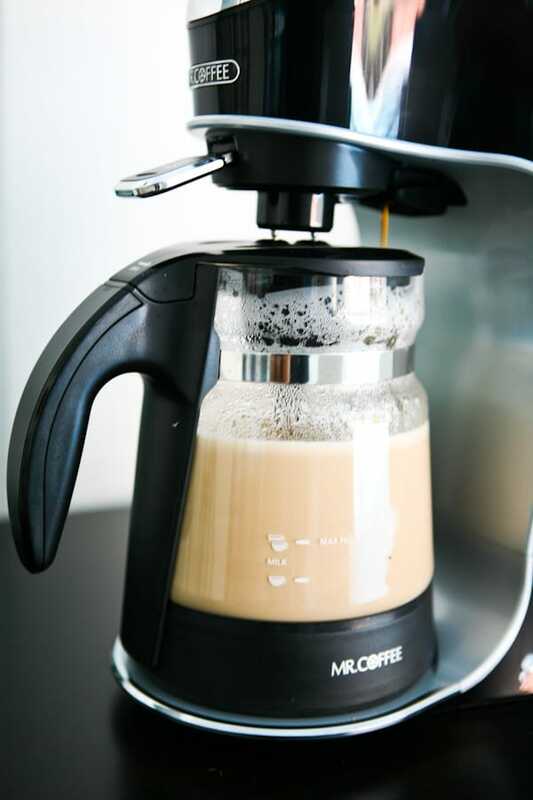 We do have a complicated manual espresso machine, and although I do adore lattes, I don’t always like to use it, so when I got the opportunity to try the new Mr. Coffee Café Latte, I was thrilled! 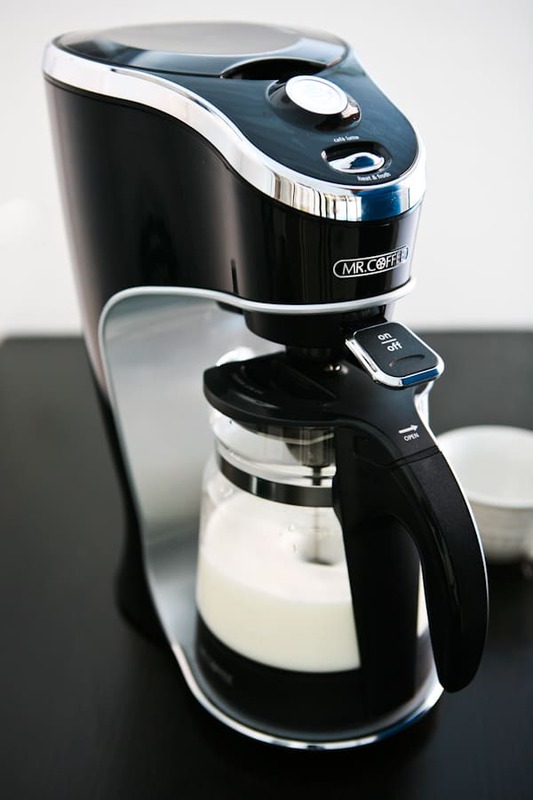 With the simple tough of a button, this machine froths and warms the milk, then brews the coffee and adds it to the hot, steaming milk. It’s a super simple way to make a latter, and best of all you won’t burn yourself with hot steam. This machine has a milk frother built right in the lid of the coffee pot. Mr. Coffee® Café Latte is great for holiday entertaining or as a gift this coming season. It would make a perfect gift for that loved one in your life that spends way too much on fancy coffeehouse lattes. 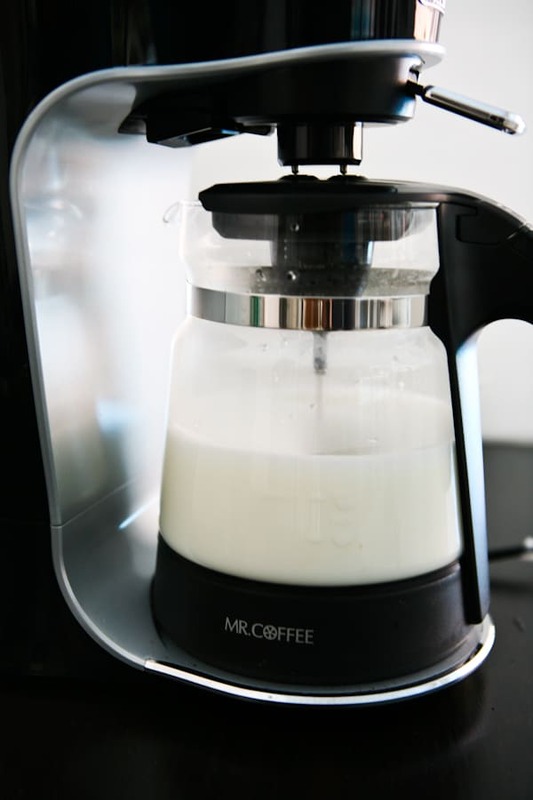 After the milk is warmed, just switch a switch to make the coffee pour in. In just a few minutes, you have a rich, wonderful perfect latte. And did I also mention this little machine also makes perfect hot chocolate? Just warm and steam the milk (13 oz), then add 1/3 cup melted semi-sweet chocolate chips and 2 tablespoons sugar. It’s so simple and so good! 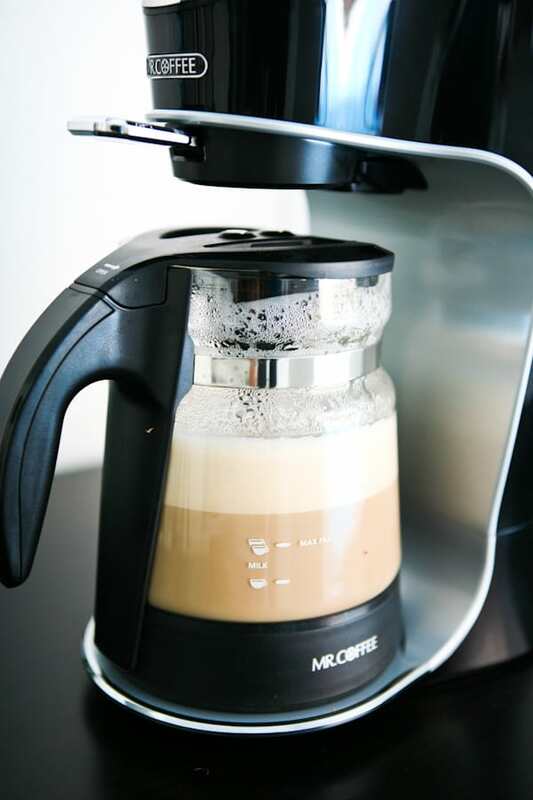 The Mr. Coffee® Café Latte allows you to bring the coffeehouse home. With the Mr. Coffee® Café Latte, you can create authentic coffeehouse style drinks without having to deal with traffic, long lines, or baristas. The whole idea of an at-home coffee comeback and how you can create your ideal coffeehouse at home, whether it’s your perfect mug, your favorite chair, your essential soundtrack. Please also visit my other blogging friends as they try the new Mr. Coffee® Café Latte in their own kitchens: Susan, Brandi, and Meredith. AND Mr. Coffee is extending a special offer to blog readers! $10 off and free shipping on the purchase of a Café Latte at www.mrcoffeelatte.com. (Enter promo code: MLAT10A). 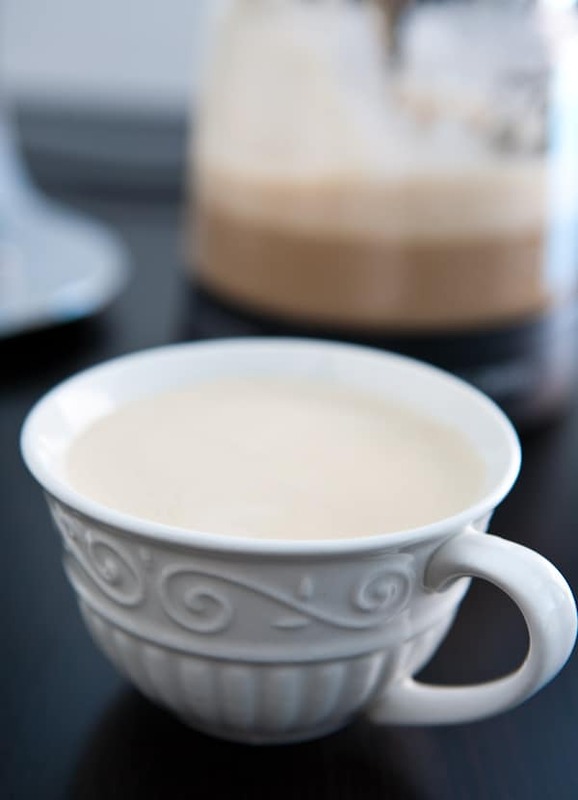 For even more Mr. Coffee Café Latte recipes, visit MrCoffeeLatte.com. Disclosure: I was received payment and product for this review. I am a sucker for a good latte! Never thought to froth the milk before brewing. That’s a good tip for some extra foaminess. Is foaminess even a word? Gorgeous photos Angie! i can’t wait to try the hot chocolate! that might happen tonight 🙂 Gorgeous pictures, Angie! I’m with Brandi!! Hot cocoa would be perfect tonight! Loving your photos as well. That looks absolutely dreamy. Dreamy. Like wrap me up and pull the blankets over my head and pour that latte in my cuppa. Yum!